Following an office party, cleanup is essential. You don’t want the evidence of your party sitting out for days, especially if your office is visible to clients at any point throughout the workday. Cleaning up, however, can take some effort, so make sure that you cover your bases ahead of time. Know who’s responsible. Chances are, someone in your office organized the party. They were the one passing around the signup sheet for food, reminding everyone to bring a white elephant gift, or handling all the Secret Santa assignments. That same person doesn’t necessarily have to be responsible for cleanup after the party, but someone needs to be! Be sure that you’ve clearly delegated the individual who needs to be responsible for cleanup so that it’s not left in the hands of the last stragglers to leave the party. Determine what tasks need to be handled first. There are some aspects of cleanup that can wait. For example, you might not need to clear the trash cans on the spot, especially if your cleaning service is due in over the next day or two. Wiping up spills, however, should be dealt with immediately so that they won’t have time to set in and ruin the carpet. You’ll want to pick up trash and clean off the counters, but cleaning the leftovers out the fridge can probably wait for another day. Schedule your cleaning service. The easiest way to ensure that everything will be put in order again after your party is to make sure that your cleaning service will come in to take care of it. Schedule them to show up after the party is over, and the next morning, your office will be back in order once more. The secret to office party cleanup is planning ahead. Know who is responsible for cleanup, what they’re going to be responsible for, and when you can next expect your cleaning service to make an appearance. 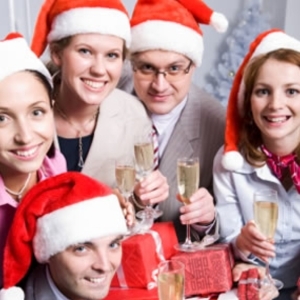 Ready to schedule a cleaning service to make cleaning up after your office party easier on everyone? Contact us today to learn more.